If users are familiar with the Medicare reimbursement rates for their locality, those rates also can be entered into the table. Users can change the reimbursements for services in several ways. 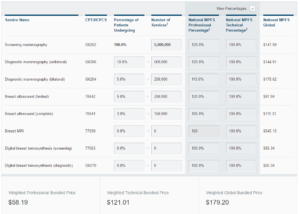 The default view displays the percentages for the Medicare reimbursement rates, which can be adjusted to reflect rates negotiated with private payers, or for locality-adjusted Medicare reimbursements. Reimbursements negotiated with commercial payers are often a percentage of Medicare reimbursement rates, e.g. 200%. If you have negotiated reimbursements with a commercial payer you can enter those values into the BSBT to see the bundled payment based on your patient population. You can also calculate what the bundled payment would look like using various percentages. Ensure that View Percentages is checked above the price columns. 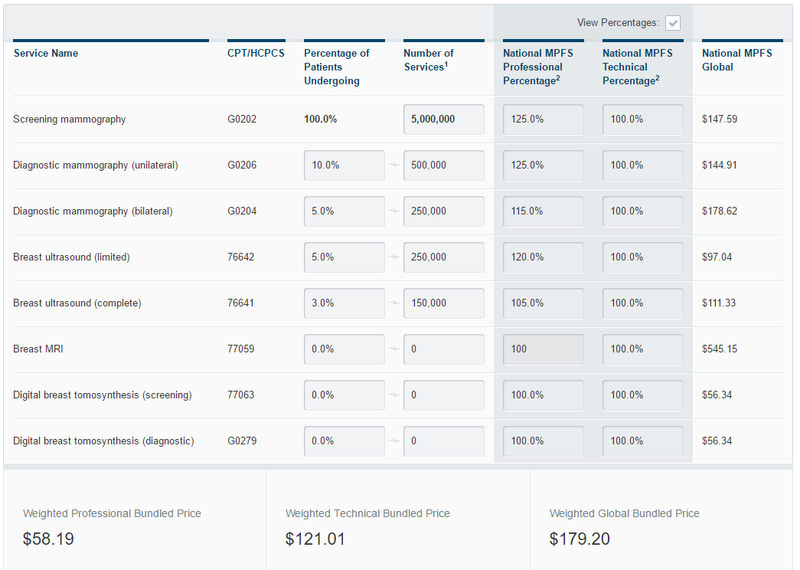 Here we have changed the percentages for the National MPFS Professional Percentages associated with each service. 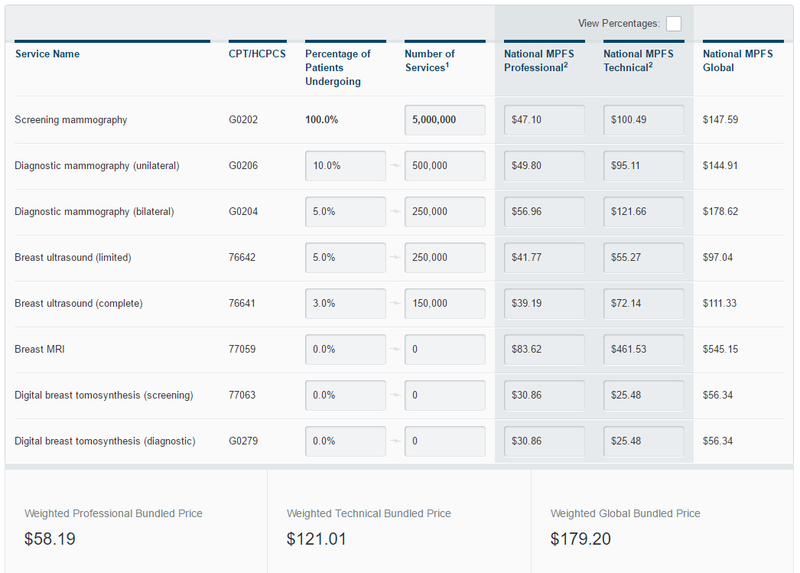 You can also change the percentages for the National MPFS Technical Percentages. The default table uses national Medicare reimbursement data. However, there are some locality-adjusted Medicare reimbursements which reflect deviations from the national reimbursement rates. 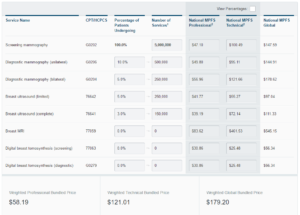 If you know the locality-adjusted reimbursement for your area, you can enter the prices into the table to calculate the bundled payment for your patient population. First, uncheck the View Percentages box. We have entered hypothetical locality-adjusted reimbursements in the table below to illustrate this BSBT function.